Thank God for people who actually address real issues! 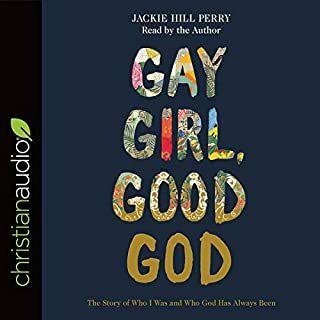 I was curious to see Jackie's perspective, two major sections in this book blessed me in particular (the rest did as well, just these stood out for me most); she addresses marriage as an idol in the church, and she talks about having trouble with men. I've had the same feelings myself with men (feeling angry and put off by even a good guy,) maybe because we both experienced abuse. It gave me hope plus I love being single, too, which the church cant seem to grasp that for some bizarre reason. Smooth read, solid narration, highly recommend. 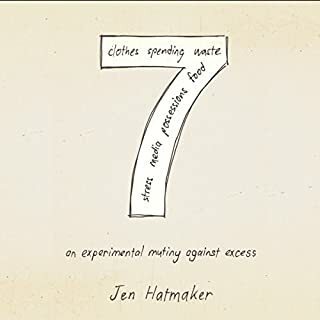 Bottom line of this book for me was that I found it immensely relatable. I didn't grow up in the 'hood life' like Lecrae but have suffered various sexual and physical abuse. It's a daily battle and a struggle I didn't even know I had seeking out men's approval. Anyway, I've seen the fake Christian life and how unhelpful it was for my life but deep in my heart I knew there was more to God than what was being offered at my hypocritical neighborhood church. My life changed when I was older and my relationship with Christ became a real one and I've been a work in progress ever since; finally experiencing true peace only his presence brings. I also work in the film industry and in the art world and understand that fitting in but not. 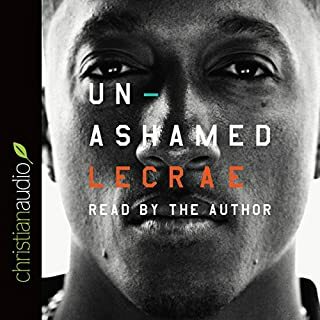 Lecrae was honest and straight forward about everything he speaks about and of course, how ultimately God pulls us back to him regardless of what we're getting ourselves into and we either listen or we don't and reap the consequences. I'm glad he pointed out what religiousness looked like by what he sought after himself thinking it was what Christian meant to be. I've wanted someone in media to point this out since I was about 13 because you see the absurdness of it. Fantastic work. Honest and true. Thank you Lecrae for being open and listening to God as he leads. 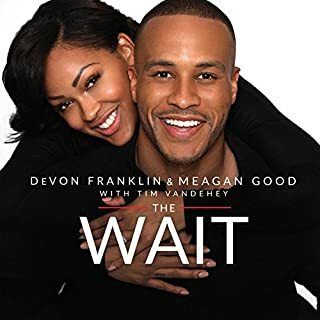 If you are already celibate this book may inform you about what is in store for you but it really is a persuasion type book for those not waiting to take steps into waiting. I think in that regard it's a great book. The verbiage is occasionally confusing as they address both Christians and non-Christians; so sometimes it takes a while to get to the point. Second, I wish they had waited longer to write this book. Granted, God's timing is His timing and if this is when they believed it was to be released so be it. However, I just feel that only four years of marriage, though they had many revelations during courtship and entering into marriage, I want to see and hear about the deeper fruits to come because I do believe waiting will bring more revelation to them once they've had some serious road blocks in their marriage. Everything just seemed too happy and I want to hear about a time where it was because of this bond they created early it kept them together. I also think they say how their experiences were without getting personal enough. I want to feel like I know them after reading but I just felt like I knew the circumstances they were in and the principles they hold. Which is fine but not nearly as impactful in my opinion. All this said, I look forward to what projects they work on together in the future as their marriage becomes deeper and richer! I finished this book conflicted. I loved the conflict and how the romance developed. It was painfully realistic at times, which is a good thing for me because there's nothing worse than a horribly fake romance story. The end gift and the ultimate choice of the subject matter ended sour. I lost respect for the main character despite understanding her choice. I also found it hard to respect her initially because of her hideous choice in men. So when something good comes along and she makes the end choice, I just felt there should have been at least one more fight. What I really want to know though, is where she is now. The end just sort of dropped her off into this next stage of life and I wanted to know how this affected her. Ultimately, I cared for all the characters and that's a great sign of a great story and I won't forget it. I would still recommend it, despite it leaving me with too many questions. All the people involved reminded me of so many people I know myself. Nothing but a true friend can have loving observation and you can sense that in the writing. This is a book of listening to the deeper haunts of the soul. Obviously it has a Christian lean since it's written by a Christian man, but it is a beautiful book and I highly recommend it to anyone. This is, although not directly speaking toward psychology, a way of helping us remove emotional attachments to things we hold on to for the wrong reasons. 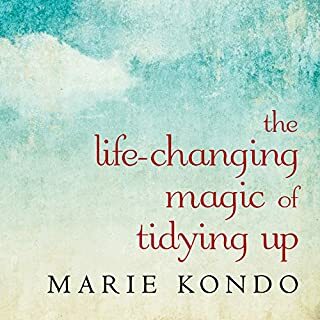 When we keep things that we don't need (or don't hold sentimental or joyous value;) we become buried in our stuff and have a physical and mental mountain that keeps us from doing the things we love. Easy read, a bit sensational at times but I understood her points clearly. 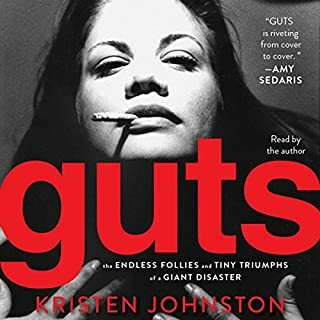 Guts is funny and brutally honest through the eyes of Kristen Johnston. I enjoy her perspective on everything going on and the comedic way she was able to describe some of the most horrible situations. The bottom line is tell the truth. Be honest with yourself but lets face it, that's hard to do and she makes this clear. I am also thrilled the author read her book. She has a lot of energy in the way she reads and to me it comes off exactly how she would be thinking it in her head which brings so much life into it. 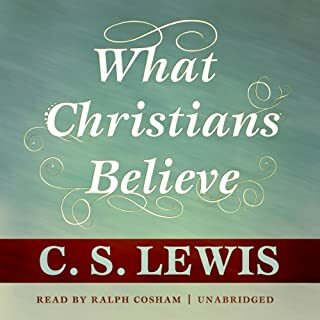 In these classic essays, which began as talks on the BBC during World War II, Lewis creatively and simply explains the basic tenets of Christianity. Taken from the core section of Mere Christianity, this book provides an accessible way for people to discover these timeless truths. 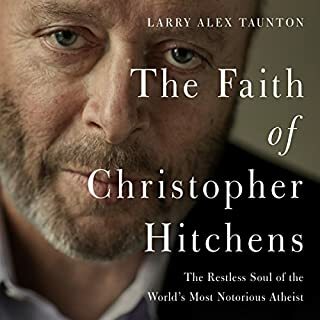 For those looking to remind themselves of what they hold true, or those looking for a snapshot of Christianity, this book is a wonderful introduction to the faith. Lewis gets straight to the heart of what being Christian actually is. He hits the hard stuff swiftly and doesn't waste time. He uses solid logic around the issues he had as a believer and when he didn't believe. It's a fast listen and absolutely wonderful. Even as actresses become increasingly marginalized by Hollywood, French cinema is witnessing an explosion of female talent - a Golden Age unlike anything the world has seen since the days of Stanwyck, Hepburn, Davis, and Garbo. In France, the joy of acting is alive and well. Scores of French actresses are doing the best work of their lives in movies tailored to their star images and unique personalities. Yet virtually no one this side of the Atlantic even knows about them. Viewers who feel shortchanged by Hollywood will be thrilled to discover The Beauty of the Real. I really enjoyed this book. 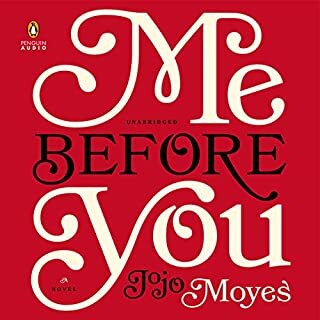 Its beautifully written and I enjoyed the way this book not only stuck with cinematic examples but dove into French culture including literature and other art forms. My only issue is the clear bias that shows up within the book. 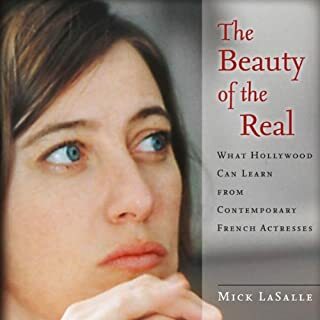 I picked this book to read about French cinema, not to read about what other cinema styles and choices should be according to this author. I'm sure over time there will be (and this is slowly happening now) a combining of styles from all countries. We each as individuals will still have our preferences and theres no need to bash what is not approved according to our decision. Overall, I really appreciated the way this was written and will probably listen to it again in the future.